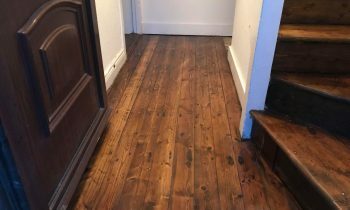 The wood floors are back in fashion and more and more people are either refinishing their old floor boards or they are getting brand new semi solid or solid wood floors. Wooden floors are warm, easy to maintain and easy to refinish. The finishes for wood floors have improved a lot and refinishing a solid or semi solid wood floor is not a big job anymore. 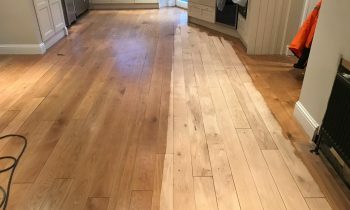 Dublin Floor Sanding is one of the busiest floor sanding companies in Ireland and we can help you achieve that fancy finish that you always wanted. We are flexible, professional and very efficient. A floor sanding company is nothing without efficient staff. Our floor sanding specialists are handpicked and all of them have years of experience. We train our own specialists and only the best will ever end up sanding your floors. Our lads are happy to advise you for free and to provide you with the best solutions to achieve superb results for as little as possible. Dublin Floor Sanding is a professional floor sanding company with 12 years experience in the floor sanding industry. We specialise in floor sanding, floor repairs and floor refinishing. We varnish floors, we wax floors, we paint floors, we stain floors, we fill up gaps and we polish floors. We work with hundreds of domestic customers each year and we also sand up floors in many pubs, restaurants, offices, etc. We use some of the most beautiful floor finishes from Bona & Tover. Over the past few years, the dustless floor sanding technology has become the norm. Most people are expecting their home to be left dust free after a major floor sanding job. Dublin Floor Sanding can guarantee you that only the best floor sanding equipment from Bona will be used to refinish your floors. We will collect over 98% of the dust generated. 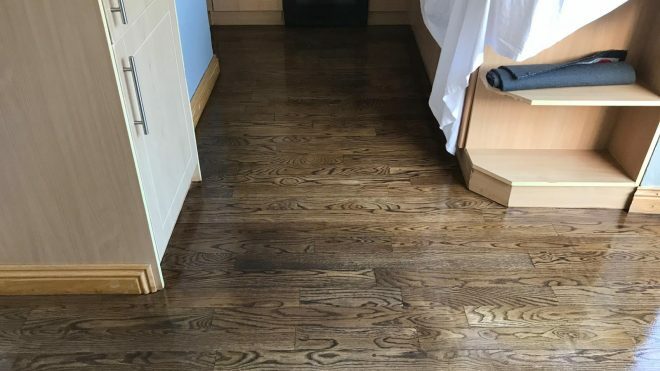 The most popular type of floor finish in Ireland is the varnish. The varnish is a great sealant and it makes the wood look natural and beautiful. Dublin Floor Sanding uses floor varnishes from Bona & Tover brands. We can finish your floor in matt, satin or glossy finish. An invisible varnish is also available from Tover. This varnish will provide the same protection like any high traffic varnish, but it has no shine at all. The flor looks like it was not touched at all. Oiling or waxing is another popular way of finishing floors in Ireland. Bear in mind that oiled floors will require refreshing once in a while. We can finish your floor with a hard wax oil from Bona or Tover. We can use clear oils or coloured oils. Polishing is another way of finishing wood floors. Many people would love to change the colour of their floor so we can stain their floor. We can stain their floors in over 30 different and unique colours. Gap filling is a very popular way of insulating cold floors and protecting spillahes done on upstairs floors to reach the ceiling. Just give us a call and tell us more about your floors and we will be able to recommend the best finishes. Having a pet can be a issue for wood floors so very tough finishes will have to be used to avoid nail damages. About 30% of Dublin Floor Sanding business comes from repair jobs. We are called in to repair damages done by other amateur floor sanding companies. As you are fully aware, a wooden floor can cost thousands of euro and it can take seconds to damage it. Pay the fair price and have a easy life. Our standard price per square meter of floor sanding and floor refinishing is about 20€ vat included per square meter. For this price you will receive top of the range service and high quality work. We will take care of the furniture, we will use dustless floor sanding equipment and we will work with you to make sure that the latest technologies and finishes are available when you make your decision. We want you as our recommendation. Any customer that has ever used our services has become our regular customer. Dublin Floor Sanding is a professional floor sanding company that understand that time is money so we will adapt to any special requests and time scales. We can sand up your floors over night, over weekends or over bank holidays. We can recommend the best and the most durable finishes and we will provide you with a full quote before starting the job. The rate for commercial floor sanding can work out pretty cheap if the floor is over 100 square meters. Give us a call and let us sort out your floors. Dublin Floor Sanding is here to work with you. We know how much you love your floors and how your floors can make a statement about your home. Relax, you are in good hands. We are finishing floors since 2004 so we have seen it all and done it all. All our floor sanding estimates are free of charge and no obligation. Floor Sanding Ashbourne – professional floor sanding services for less!